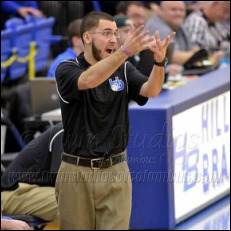 Tim Congrove enters his fifth season with the Davidson coaching staff, and his second as the Head Coach at Hilliard Davidson High School. In Congrove's first three years at Davidson he helped build the program as the JV Coach and Assistant Varsity Coach under Cort Hamilton. Last season, the Wildcats finished 13-10 on the year, and return a strong core of seniors. Prior to Davidson, Tim spent time in as an assistant men's basketball coach at Capital University in 2013-2014. Congrove graduated from Capital in 2013 after helping lead the Crusaders to back-to-back Ohio Athletic Conference regular season championships in 2011-12 and 2012-13. A Circleville native and graduate of Logan Elm High School, Congrove originally attended Walsh University, where the men's basketball team earned a No. 1 ranking in the NAIA DII during his two seasons there. He earned his bachelor's from Capital in Education as an Intervention Specialist. Chad Johnson enters his fourth season of coaching on the Davidson staff from. Previously Chad attended Capital University where he helped lead the Crusaders to back to back Ohio Athletic Conference regular season championships in 2011-12 and 2012-13. Johnson is a graduate of Middletown High School, where he played basketball for four years before committing to Capital University. Coach Johnson earned his bachelor's from Capital in education, specializing in Physical Education and Health. Coach Johnson is currently a physical education teacher at Norwich Elementary. 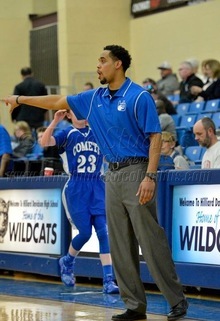 Coach Keys is in his fourth year in the Davidson basketball program and has been coaching youth and AAU basketball for the past 12 years. Originally from Marion, Indiana. Coach Keys graduated from and helped Marion High School win 3 consecutive State Basketball Championships in 1985, 1986, and 1987. In 2015, Coach Keys and his 1985 team that went 29-0 and won the state title was inducted into the Indiana Basketball Hall Of Fame. Coach Keys also attended Wake Forest University on a basketball scholarship from 1988-1992. Coach Keys graduated from Wake Forest with a degree in Sociology and works for Schwans Consumer Brands.